Product prices and availability are accurate as of 2019-04-01 22:34:19 EDT and are subject to change. Any price and availability information displayed on http://www.amazon.com/ at the time of purchase will apply to the purchase of this product. Kharma Khare makes the best yoga mats for your practice and our planet. The Yoga Reincarnated is made entirely from recycled car tires. 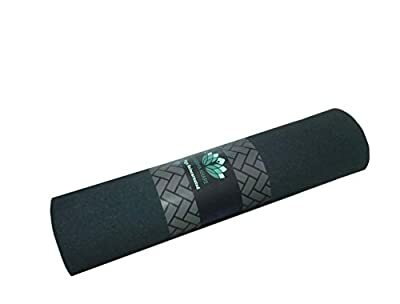 Reincarnated provides the ultimate balance you seek in a yoga mat: The surface is stable and firm but supportive, and provides non-slip grippy traction during even the sweatiest practice. This is the ultimate hot yoga mat or Bikram yoga mat: Say goodbye to your yoga towel! 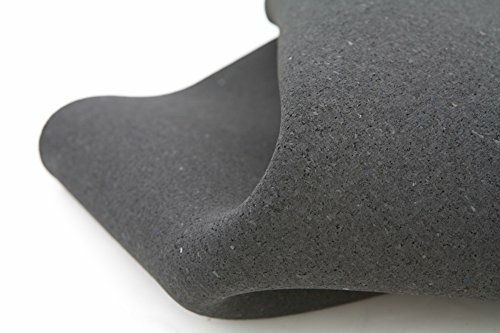 Kharma Khare's patent-pending eco-conscious manufacturing process takes everything harmful out of rubber tires and transforms trash to a durable high-quality hypo-allergenic thick yoga mat that will last you a lifetime. One mat keeps 3/4 of a rubber tire from being thrown in a landfill or burnt for crude energy. 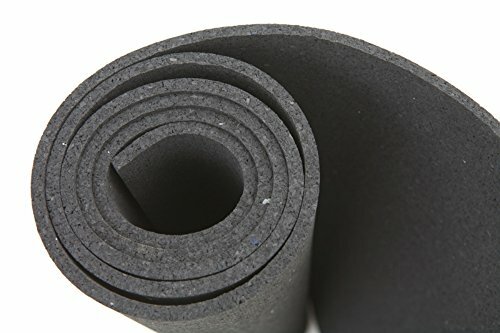 High performance eco-friendly thick yoga mat made from 100% recycled rubber tires - each mat uses 3/4 of a car tire that would otherwise be in a landfill Ultimate traction sticky and no-slip grip in sweatiest practices - no towel necessary and no break-in period required Hypo-allergenic and safe material even passes ingestion standards; Non toxic, Phthalate Free, no PVC, polyurethane or other toxic materials Provides exceptional cushion, support and stabilty: 7 mm thickness Dimensions: 72" L x 24" W; Weight: 8 lbs.